Update: Sold out in 2 1/2 hours but they’ll be adding names to our wait list between 12:00 and 1:00pm at (202) 670-4409. “On Saturday, January 10 and Sunday, January 11 from 5:30-9:30pm, Bad Saint will host a dinner pop-up at Crane & Turtle in Petworth. Bad Saint, a Filipino American neighborhood eatery opening in Columbia Heights, will offer a 5-course menu of food from throughout the Philippine archipelago. The menu will take diners beyond lumpia, pancit, and other gateway dishes, delving deeper into the Malay, Chinese, and Spanish roots of the cuisine. If our November pop-up was an introductory primer on Filipino food, these two nights will comprise an intermediate level workshop, highlighting lesser-known ingredients and regional preparations. The dinner will be $60 per person, including tax and gratuity. Guests can choose one of two options: an omnivore’s menu or a vegetarian menu. A limited number of seats are available. Tickets must be reserved and paid for in advance. 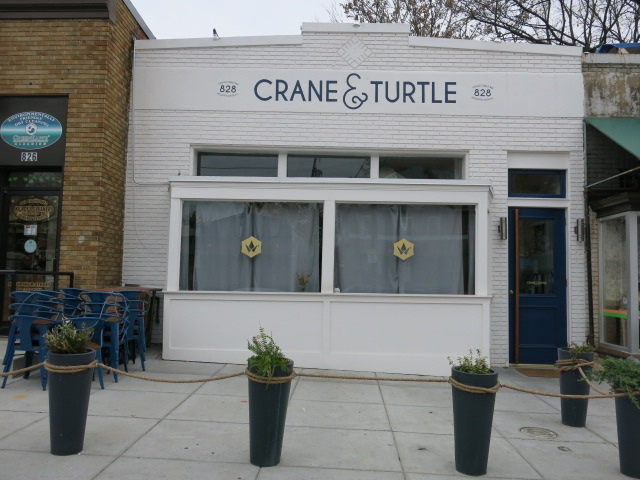 Crane & Turtle is located at 828 Upshur Street, NW.